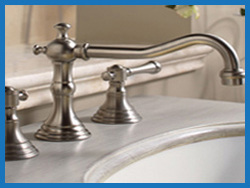 Majury Plumbing is locally owned and operated. We have over twenty years experience serving the community in Uxbridge and the GTA. If you are looking for residential plumbing services in Uxbridge or the surrounding area, you have come to the right place. Whether it is a small repair, major renovation, or complete installation of a new facility, Majury Plumbing has the expertise and experience to get the job done right the first time, on time and on budget. Over the years we have developed a great reputation of quality workmanship, honesty, integrity, and in-depth knowledge of the current and past plumbing construction trends. Check out our photo gallery to see some of our past work. Have an emergency? Off-hour and emergency service is available.